Chemotherapy is helpful when it comes to aiding cancer patients in ridding their bodies of harmful cancers. While it can produce amazing results, chemotherapy can also take a toll on various parts of your body as it works. Because your skin is your body’s largest organ, some of the more noticeable changes can occur there, which is important to note before you begin any sort of cancer treatment. 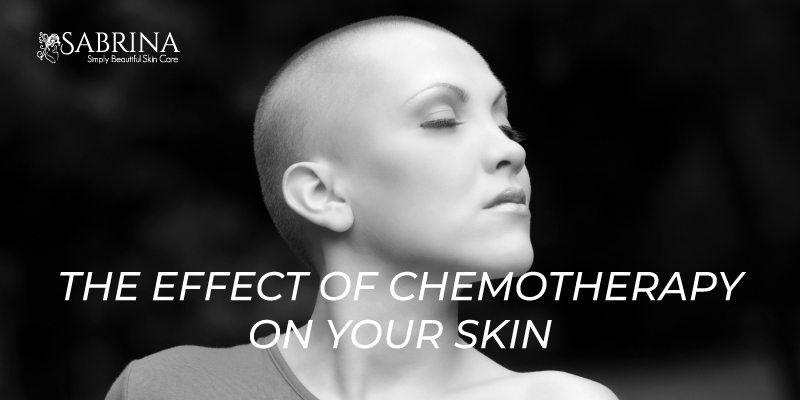 So what is the effect of chemotherapy on your skin? Is there anything that may be cause for concern? Here are a few things you should understand if you or a loved one are about to begin chemotherapy. One of the more common skin symptoms that arises from chemotherapy is itchy skin. Some of the itchy sensations are specifically due to dry skin. Other itchy sensations are a direct effect from the radiation treatments. An itchy sensation can also be caused by the cancer itself, particularly skin cancers like melanoma, or cancers that have the ability to spread to the skin like leukemia and lymphoma. If you experience persistent itching before, during, or after chemotherapy, be sure to speak with your doctor for more insight. Most itching can be traced back to the type of cancer or the treatment, but others can be linked to certain medications that you may be allergic to. Be sure to discontinue any medications, lotions, or other products that are causing itching, hives, shortness of breath, or swelling. Another common skin-related symptom is dry skin. It is fairly common across the board, especially during radiation treatments. Blood cancers like leukemia, lymphoma, and multiple myeloma are often associated with dry skin. Keeping your skin moisturized at all times, whether you’re receiving cancer treatment or not, is essential for healthy skin. Moisturizing is especially important to prevent your dry skin from becoming itchy or irritated. Be sure to apply a moisturizer at least twice per day, especially after bathing with warm water to allow the skin to easily soak up the product. Collagen Rx Plus by SABRINA anti-aging face cream is an excellent choice. It is organic and re-hydrates and heals your skin. 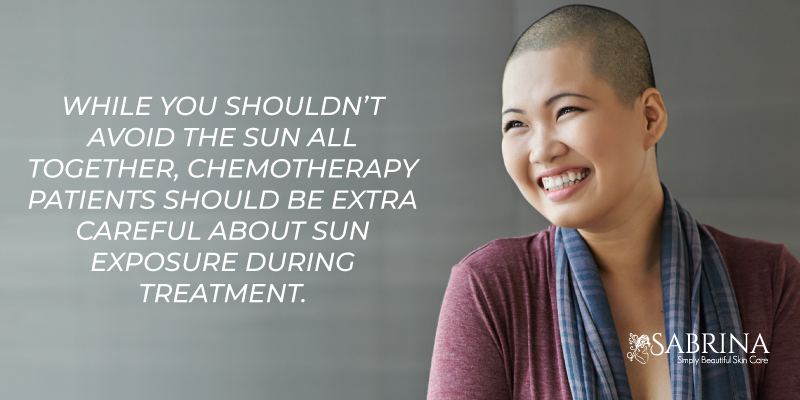 While you shouldn’t avoid the sun all together, chemotherapy patients should be extra careful about sun exposure during treatment. Be sure to cover all exposed areas of skin with protective clothing, like long-sleeved shirts and pants, wear hats with wide brims, use sunglasses, and apply sunscreen to areas that clothing is unable to cover. Apply sunscreen all year round, even in cold winter months or on overcast days. The sun’s rays can still damage your skin. Try using an SPF of 30 or more. Be sure to re-apply your sunscreen every two hours if you are sweating, exercising, or swimming. During certain treatments, your skin will sometimes break out in a rash. Rashes can come in a variety of forms, from general redness in particular areas of the skin, to small, pimple-like bumps, raised lesions, or even burning or itchy patches. Hives can be somewhat common, depending on your body’s reaction to certain treatments. They will typically disappear 24 hours after treatment is initially administered. If hives lead to pain, difficulty breathing, or swelling, be sure to seek help from your doctor immediately. Some treatments can also lead to acne becoming worse or more prominent. Other treatments cause the development of purple-colored blotches, or even Steven-Johnson syndrome, which is paired with flu-like symptoms and skin blistering. To avoid making rashes worse, be sure to wear loose-fitting clothing, avoid using fragranced soaps and lotions, use sunscreen, and get some prescription creams and products from your doctor to reduce rashes and the symptoms that go along with them. 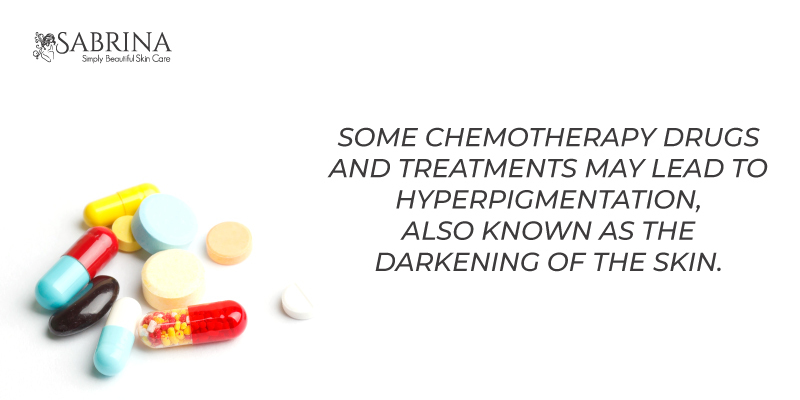 Some chemotherapy drugs and treatments may lead to hyperpigmentation, also known as the darkening of the skin. Patients may notice that certain areas of the skin when exposed to light will undergo a transformation. These areas may turn into gray or golden patches. Different medications can have varying effects, with some darkening the skin more than others. Some patients experience changes while others notice nothing. Most of the changes occur two to three weeks after beginning treatment, so it’s important to keep an eye on your skin and bring any issues to your doctor as soon as they arise. These changes may occur on your arms and legs. They can also appear on your gums, tongue, and other parts of your mouth, under your nails, and over certain joints. Chemotherapy can take a toll on you physically and mentally. Treatments may make you feel tired. This leads to pesky signs of aging, such as fine lines and wrinkles, to appear on your face and body. A safe moisturizer to heal and nourish your skin is SABRINA Collagen Rx Plus Anti-Aging Face Cream. This organic product delays aging and deterioration of cells while keeping your skin soft, boosting collagen production, and diminishing the appearance of pores and wrinkles. Click here for more information!